After Dominck Cruz retains his UFC Bantamweight championship belt against Urijah Faber, UFC 132: Cruz vs Faber is now in the books. 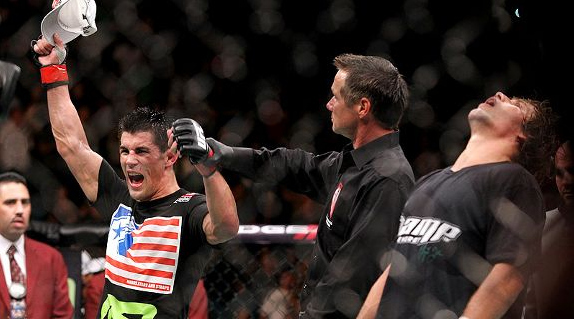 Last Saturday night, current Bantamweight champion – Dominick Cruz – was able to avenge his sole defeat over Urijah Faber at UFC 132. But despite earning a unanimous decision victory against the California Kid, the reigning king was not able to gain more fans from the audience who were crammed up at MGM Grand Garden Arena in Las Vegas. Nevertheless, he thanked his supporters and haters all the same. See the complete UFC 132: Cruz vs Faber results below.